Kingarth Street pupils have supported the school’s local foodbank for the last three years. These contributions make a huge difference to many families across Glasgow. 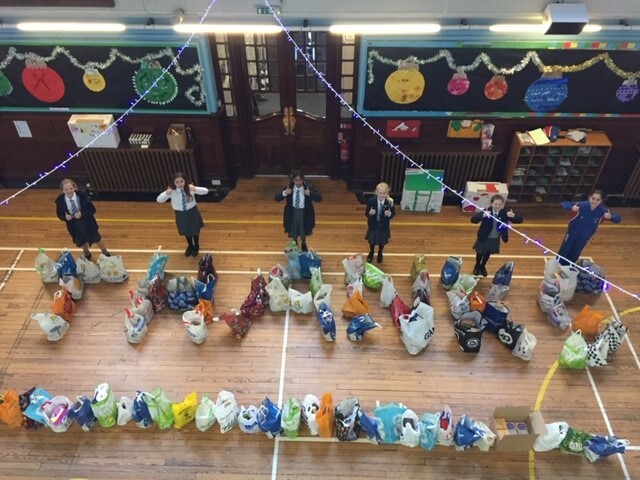 Today the P7 Charity Committee members took a record breaking 89 bags bursting with food to Queens Park Foodbank. Thank you to everyone for your generous donations.